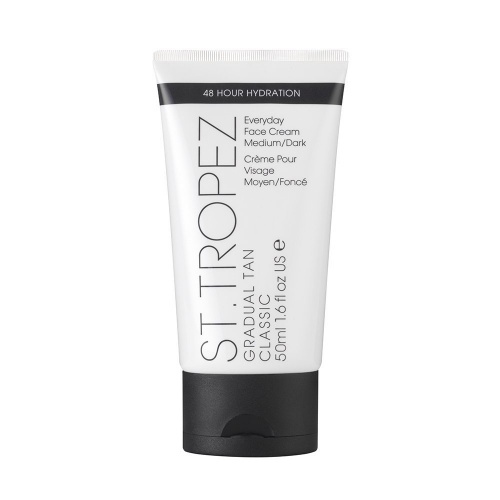 St Tropez Everyday Face cream is a light, easily absorbed moisturiser with a hint of self-tan for a natural, healthy-looking glow. 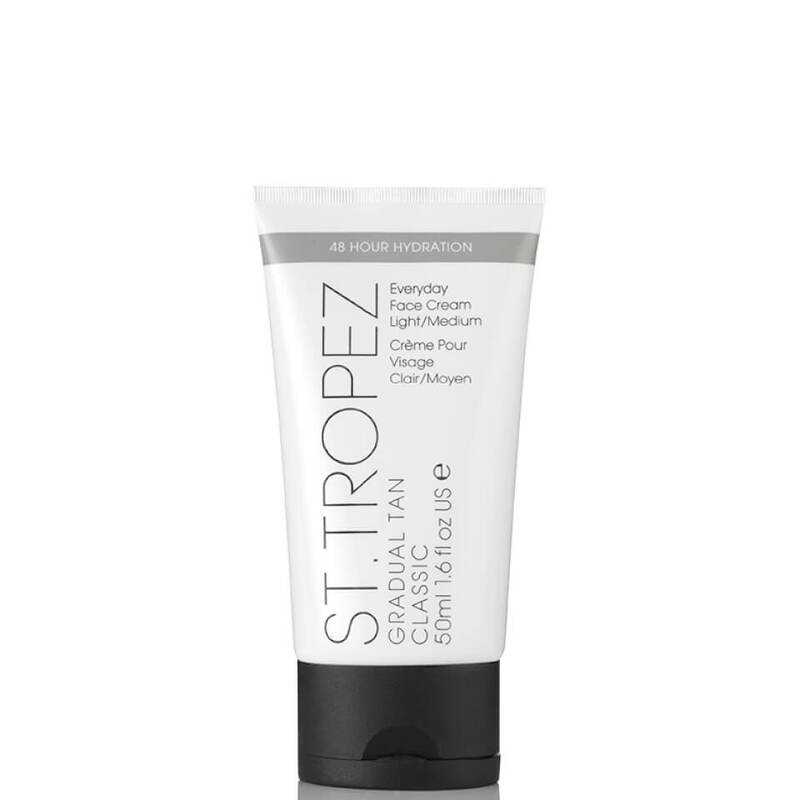 Enriched with marine extract, vitamin E to help reduce the appearance of fine lines and wrinkles and aloe vera for powerful long-lasting hydration. Directions: Apply in light sweeping motions. Exfoliate regularly. Wash hands after use.